Featured with thick and smooth taste, this ripened Pu-erh cake allows multiple infusions and produces noticeable sweetness and aged aroma. Using Fengqing large-leaf tea tree leaves as the fresh material, this tea was handpicked throughout the springs of 2015 and 2016. The unique ratio of mixing teas of different harvests together creates a harmonious taste in this ripened cake, richer with a well-layered flavor profile. 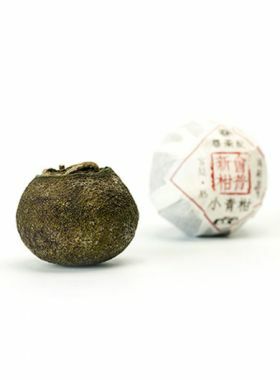 Upon opening the wrapper, the first thing of notice is the abundance of remarkably golden buds; when tasted, this tea’s sweetness presents itself fully up-front and then spreads through the mouth. 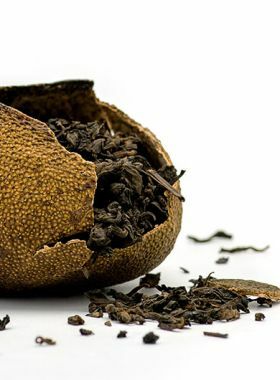 This tea has a soft, mellow taste and leaves a smooth feeling in the throat, with the overall experience thick in texture with a notable warmth, comfortable in winter. 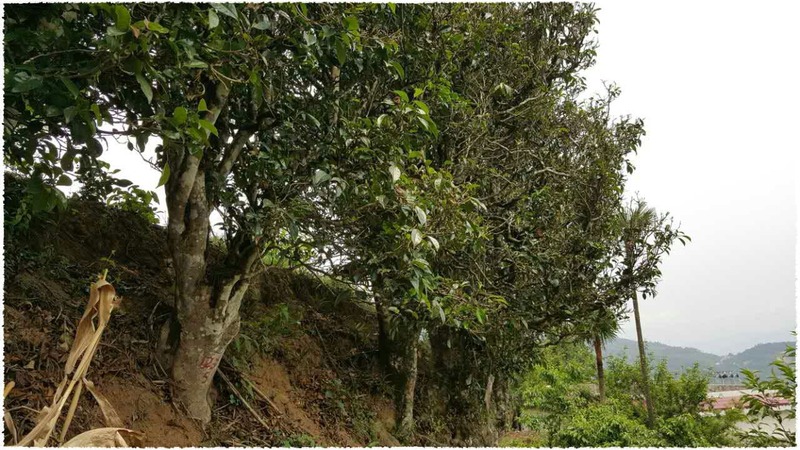 There are fifteen towns in Fengqing that cultivated old tea trees: Xiang Zhu in Xiaowan Town; Xinyuan; Dashi Village; Mengyou Village; Yongxin; and several others, together totalling around 31,000 mu. 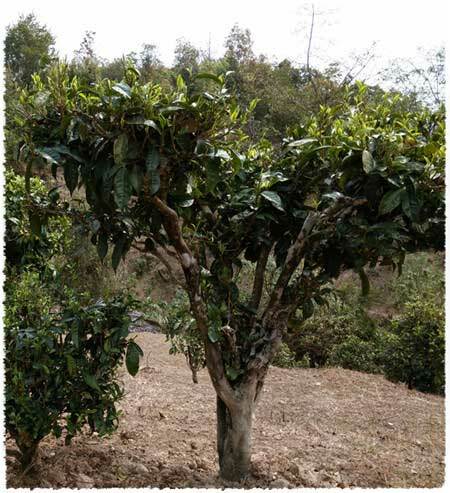 Mengyou is an area in Yunnan thick with tea trees, half wild and half cultivated. Many of the old trees here are a hundred years old, while a select few are a thousand or more. The ancient tea plantations here have established a special cultural landscape, lending great vitality to this place. 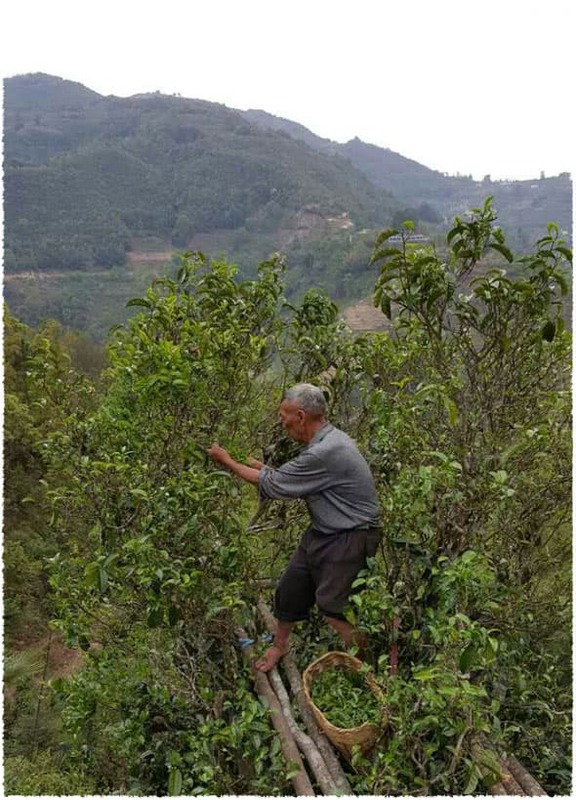 Mr. Zhou is an authentic Yunnan farmer who has avidly contributed to the tea business for longer than twenty years. A short chat with him revealed to us his passion for and insistence on using traditional methods for producing tea, and also that he values the essential quality within the tea leaves. His experience has been collected over the time he has spent along the tea mountains. He is passionate about bringing out that essential nature of tea, so he can share it with tea lovers around the world. 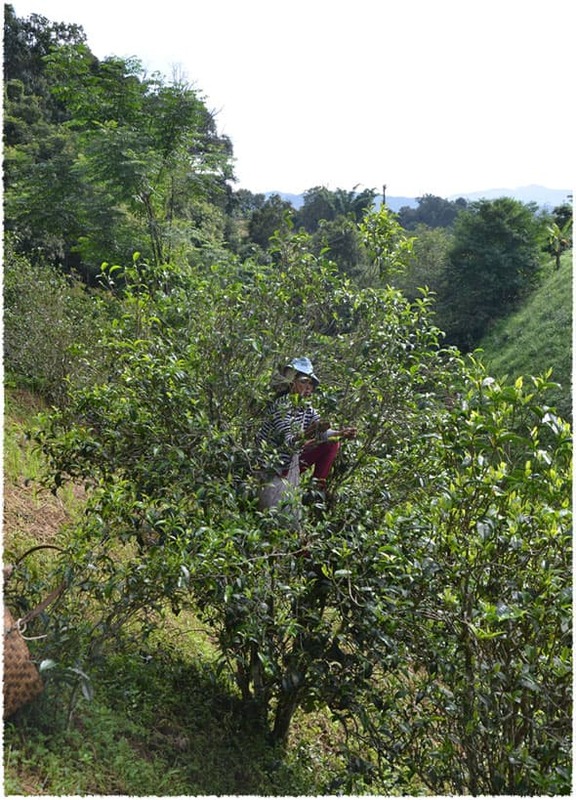 Mr. Zhou claims that Fengqing boasts the best environment for growing the perfect tea trees. 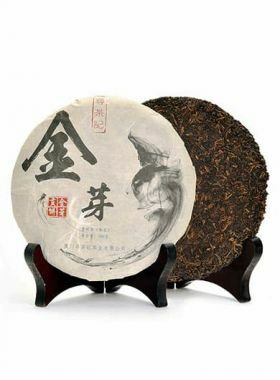 This pu-erh cake comes from the representative pu-erh production region of Fengqing, in the southern part of the Dianxi Longitudinal Valley. 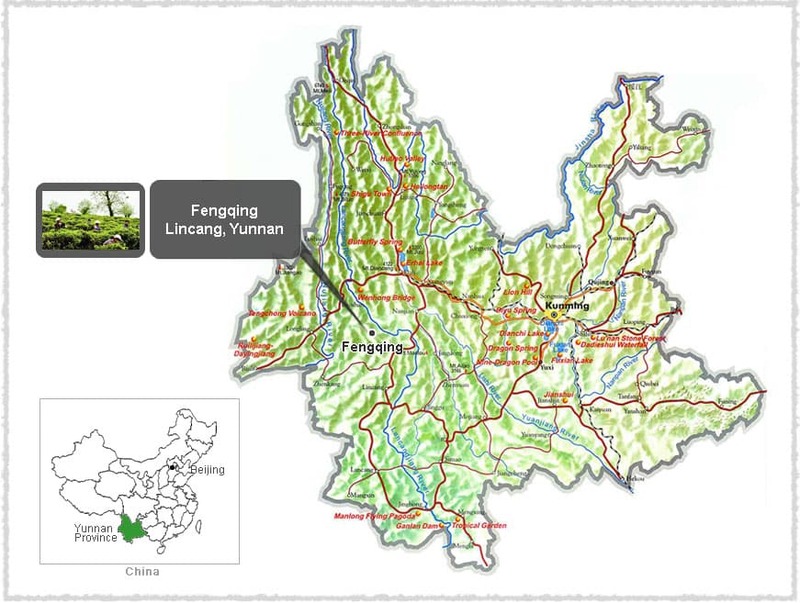 Fengqing is a county in the northwestern part of Lincang and is one of the four famous pu-erh production areas among Xishuangbanna, Pu’er, and Baoshan, and is also one of the first birthplaces of tea throughout the entire world. It is also famous as being the hometown of Yunnan black tea in Lincang. Fengqing holds a long history of tea planting, production, and drinking, and the land itself is beautifully varied between high mountains and snaking rivers. This tea is made from the Fengqing large-leaf species, a unique type of Yunnan large-leaf tea tree. It propagates sexually and is a super large-leaf arbor type, meaning it can grow to be more than six meters tall. 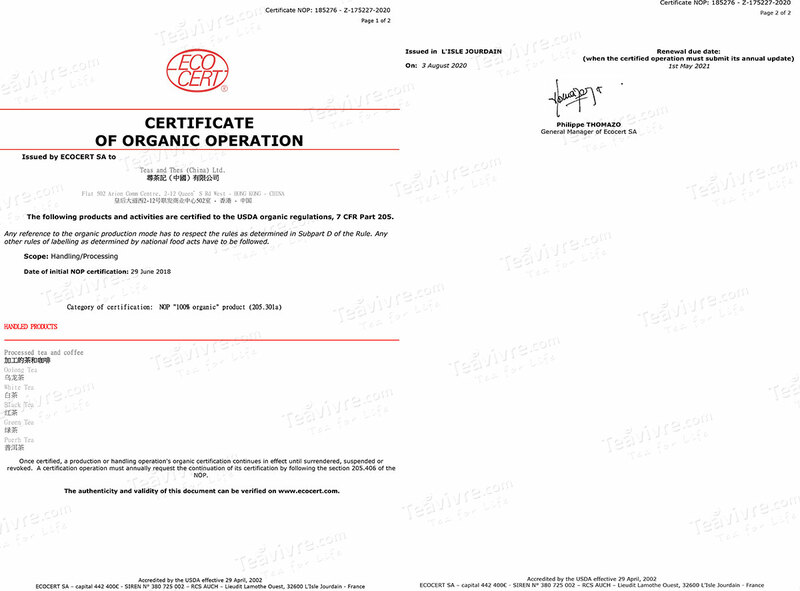 In 1984 this variety was certified by the Chinese government as a national grade. 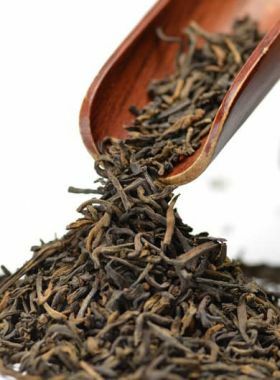 It contains an abundance of tea polyphenol (30.2%) and catechins (13.4%), and also contains 2.9% amino acids and 3.2% caffeine.